Even if you're the most impulsive adventurer, it still doesn't hurt to study up on a bit about Braunlage before you go. Have a look at it on your map, note the activities on offer and let the fun begin! 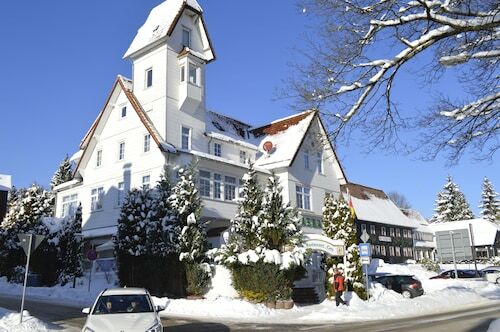 Braunlage lies 60 miles (97 kilometers) southeast of Hannover, a prominent city. This area of Harz National Park boasts a population of around 5,000 people. 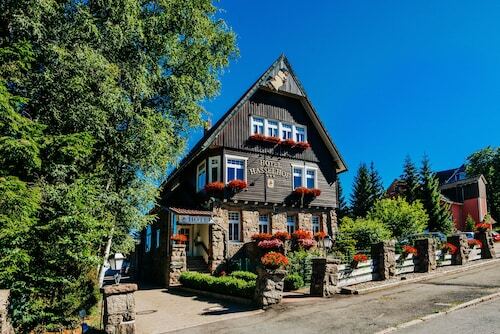 If you're arranging a vacation in Braunlage, you'll want to listen up! You can save loads of cash with a Travelocity accommodation and flight package. Simply select from no less than 400 partner airlines and 665,000 places to stay. Too many choices? We'll make it easy for you! After a worry-free travel experience? Our Customer 1st Guarantee offers the added comfort of 24/7 personal assistance on all our services. Seen a better deal? We'll match the price and give you back the difference^. Don't you wish you had a little security in your vacation itinerary? Our package deals can be changed with no scary fees. And so long as you get in quick, most accommodations won't charge you either^. Are you ready to traverse the path less traveled in Braunlage? Before you begin that unforgettable adventure, you'll need a place to stay. Take your pick of our 10 accommodations and get your trip off to a great start. 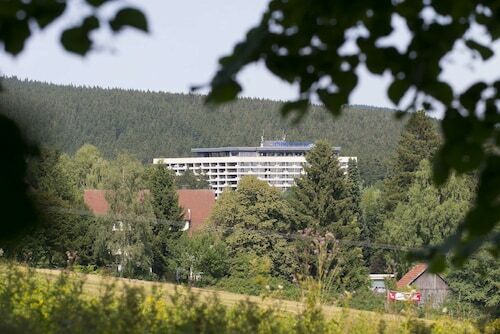 Luxury rooms, quality amenities and fabulous service is what you'll discover when you book the Maritim Berghotel Braunlage (Am Pfaffenstieg) or the Torfhaus HARZRESORT (Torfhaus 2). Can't see yourself spending much time in your room? 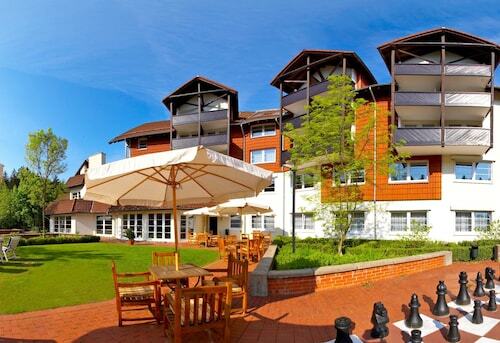 Check out budget options like the Hotel Askania (Harzburger Str. 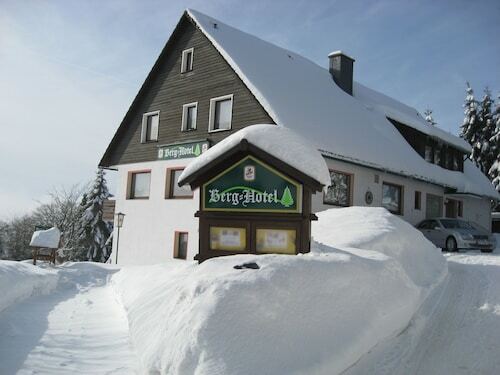 6) and the Hostel Braunlage (Harzburger Str. 22a) and splash out on amazing experiences instead. Where do you fly into for Braunlage? Heading into Braunschweig - Wolfsburg Airport (BWE)? After you've stepped off the plane and claimed your belongings, the heart of Braunlage will be just 40 miles (64 kilometers) to the south from here. 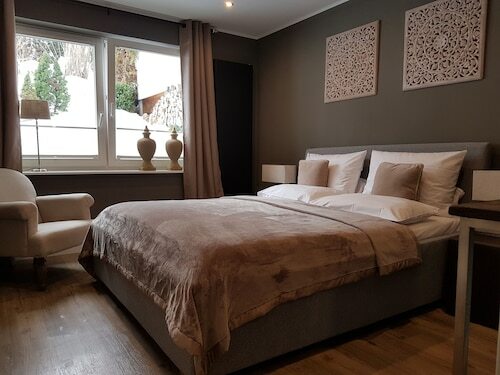 Can I rent a car in Braunlage? Forget waiting for buses and trains. Take a look at your car rental options via Travelocity and get the most out of your time in Braunlage. Take your break to dizzying new heights with a trek up Wurmberg. As you ascend, stop and admire the splendid views. Like some more options? There's nothing like the feeling of staring out at a fresh layer of powder and knowing you've got the whole day in front of you to take to the slopes. Grab your beanie and clip on your skis — Wurmbergschanze is calling your name! And that's not all there is. If your blood pressure soars when you think about heights, a ride at Wurmberg Gondola is a magnificent opportunity to beat your fear. Sit safely inside the compartment while the views keep your mind off your nerves! 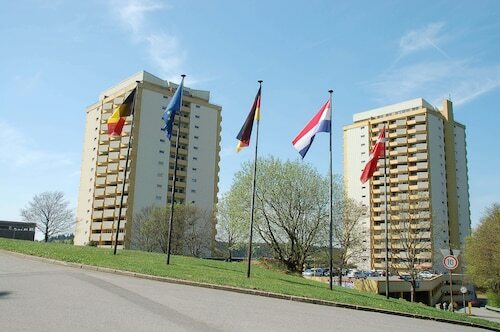 While you're in Braunlage, why not stop at some nearby localities? Hannover, just 60 miles (97 kilometers) away, allows handy access to New Town Hall, a much-loved attraction. If you have some spare time to play with, visit Marktkirche too. You certainly won't be bored here!